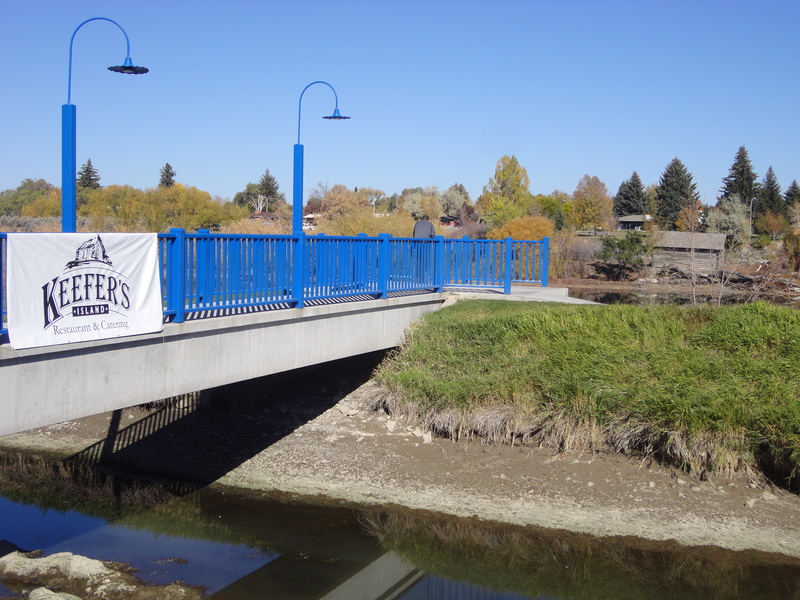 Keefer’s is located within the Shilo Inn on the west bank of the Snake River in Idaho Falls. New name. New management. New opportunities. My family dropped in on a beautiful Sunday afternoon. We practically had the whole place to ourselves. And since some of the workers were doing some remodeling (painting) on the inside, we chose to dine on the grass outside. Our waitress could not have been more accommodating to our wishes. Upon her suggestion, I ordered the special of the day. A French dip. And let me say . . . it was loaded with meat. Why the new name for this place? When you look out on the river, you see Keefer’s Island. Back in the ol’ pioneering days, Mr. Keefer built a little cabin on the island. And before he died, he deeded this island to the city. At Keefer’s, you get good food, nice viewing of the Canadian geese, and open access to the Greenbelt. 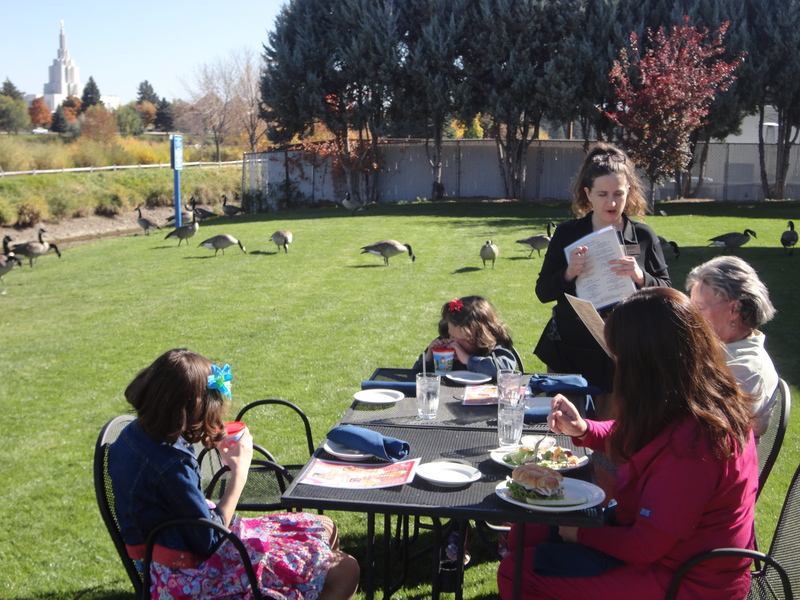 I think your family would enjoy this dining/aqua/water-fowl experience. 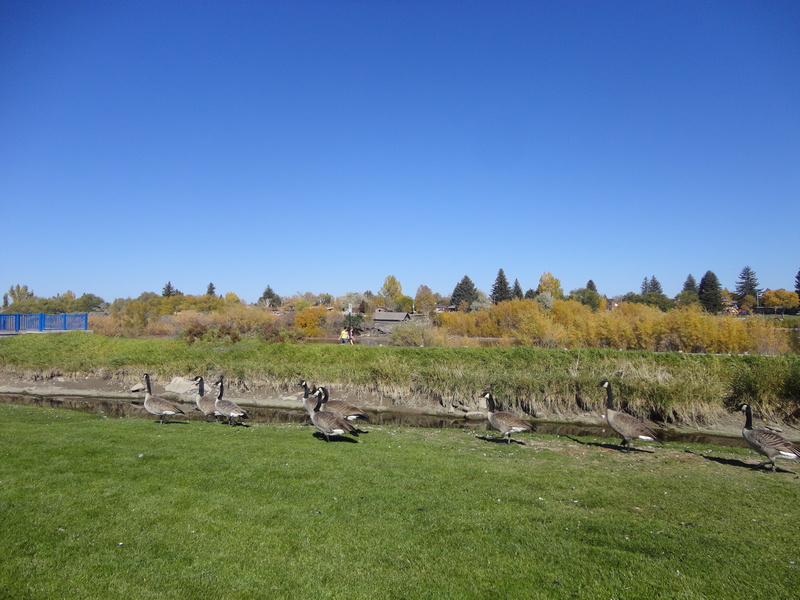 This entry was posted in restaurant reviews and tagged Answers, Canadian geese, island, Keefer's, Shilo Inn, Snake River. Bookmark the permalink.